Rorschach Theatre’s OTHER PEOPLE’S INK launches our first ever Book Club inspired by the works in Rorschach’s 2018-19 Season. Join us at Solid State Books on H Street NE for the Kick-Off. (NOTE: This is the kick-off, no “pre-reading” is required! Just grab a drink or a snack from Solid State’s new coffee bar and sit back and listen.) We’ll announce all three books for the season, read short excerpts of each and hear a sneak preview of Rorschach’s upcoming SING TO ME NOW by Iris Dauterman. 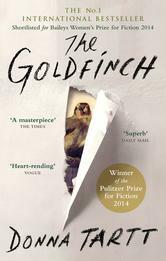 Our first book is THE GOLDFINCH by Donna Tartt. This Pulitzer Prize winning novel follows a follows a resilient boy’s entanglement with a small famous painting that escapes destruction in a devastating terrorist attack. It’s selection was inspired by SING TO ME NOW‘s themes of creativity and artistic inspiration – fighting for beauty while the world is falling apart. Rorschach Book Club Members receive a 10% Discount at checkout! Order in advance or pick up your copy at Solid State. 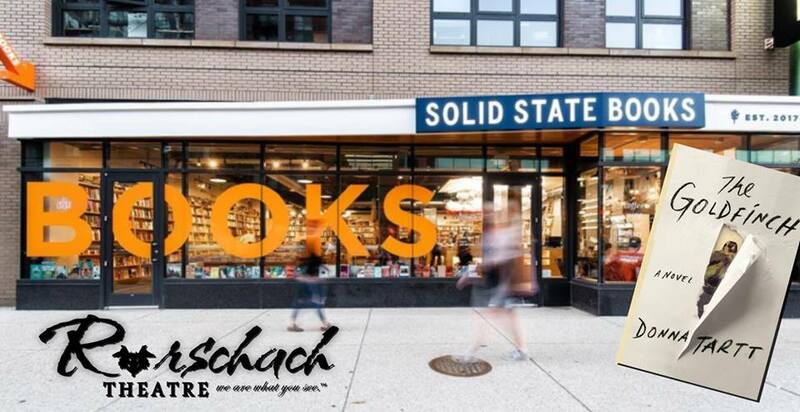 Solid State Books is a full-service general interest bookstore with a deep and diverse selection of fiction and non-fiction titles, as well as gifts curated to appeal to customers of all ages. Solid State Books has an extensive children’s book and young adult section to fully serve the smallest readers. Their deep slate of programming includes author readings and signings, children’s story hours, book groups, local interest panels, political conversations and more. They also have a coffee bar with a delicious selection of pastries, snacks, beer, and wine.